In 1924 the beautiful golf course of the Bargara golf club was nothing but a swampy patch with large frontal dunes. A group of local residents with a common vision came together and purchased the land. The community back then consisted of a handful of permanent houses, holiday shacks and a hotel. Acquisition of more land in 1930 through the issuing of debentures. In 1980, Bermuda 328 replaced the old couch greens and water storage capacity grew with the assistance of a government grant. The present layout of the course was created in 1988 and enhanced by the construction of a new clubhouse in 1997. Currently the club has an ambitious project to create 5 star facilities to meet the needs of the growing community and visitors. To test the knowledge of true Bargara’s die hard lovers will answer the following set of questions. There will be two prizes for the first two contesters who will answer the most questions correctly and swiftly. 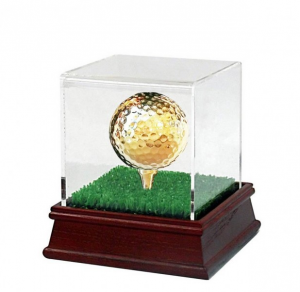 The first contester will get a display gold dipped golf ball and a tee set while the first runners up will get a playable gold dipped golf ball and a tee set. Who is the most elderly active member of Bargara Golf Club? How old is he/she? When is his birthday? Who is the editor of the Voice of the Vets publication? When was the club founded? Who’s the first member? How many years is the club celebrating today? Name at least five sponsors associated with Bargara Golf Club? Who is the men’s captain? Let the games begin. 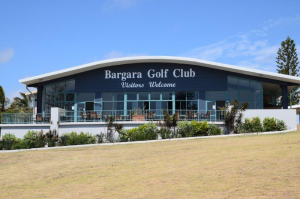 Happy birthday Bargara Golf Club! Our awards are sponsored by xmasgiftsforher.com.au – a reputed retailer with a lot of awesome items to choose from – find thousands of expertly personalized unique gifts and ideas for any occasion. Copyright © 2019 Bargara Golf Club.